The Government’s national strategy for the rental sector will be published by the end of the year, Taoiseach Enda Kenny has said. Speaking in the Dáil, Mr Kenny said the Government was working on plans to increase housing supply. He also defended measures in the budget such as tax breaks for landlords, an increased tax-free allowance of €2,000 for the “rent-a-room” scheme and a first-time buyers’ scheme, which Labour leader Brendan Howlin said would only increase house prices. Mr Howlin said rents had surged above peak prices in 2007 but incomes had not kept pace. 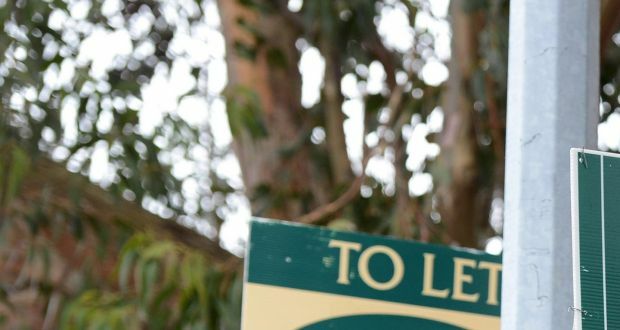 He pointed to a report that suggested that rents would increase by 25 per cent over the next two years and called for rent controls. He said there was nothing in this year’s budget for tenants. Mr Kenny said that landlords had to be encouraged to rent their properties. The Labour leader said that, when they were both in government, Fine Gaelhad opposed and blocked Labour’s proposal to link increases in rent with the rate of inflation. He said the party’s housing spokeswoman, Jan O’Sullivan, had a new draft plan that would restrict rent rises to the rate of inflation. Mr Howlin warned that people would not be able to save to buy homes if rents kept going up. He said these people needed to know the Government cared about their situation and would have a solution to deal with it. Mr Kenny then said Minister for Housing Simon Coveney would publish the national strategy for the rental sector before the end of this year.